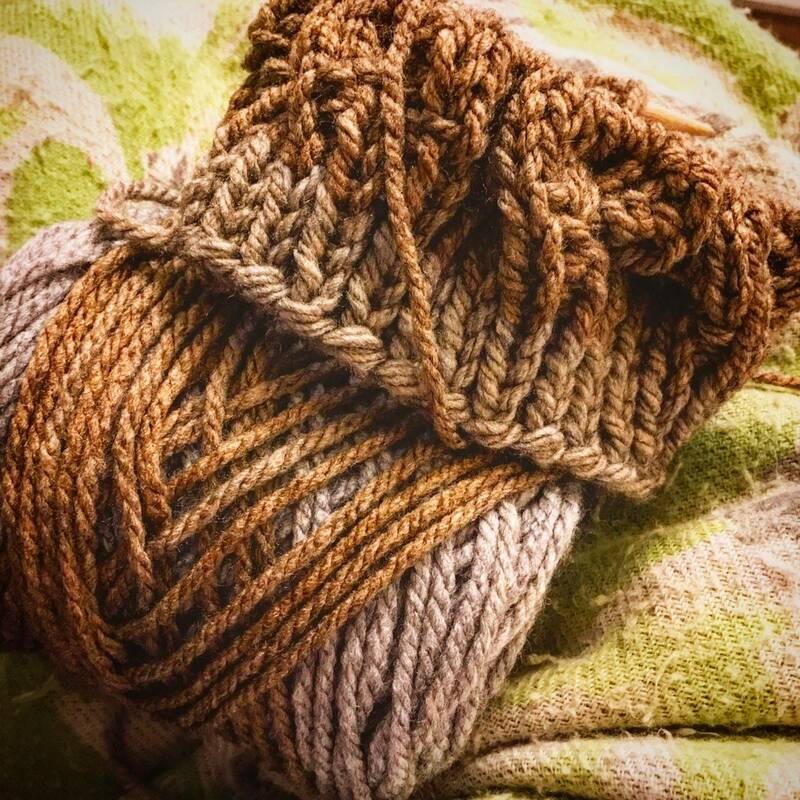 I can’t get enough of knitting @premknits braided cable beanies!!! This time I chose to knit them in Caron Tea Cakes yarn. I couldn’t resist the color which is English Breakfast!! 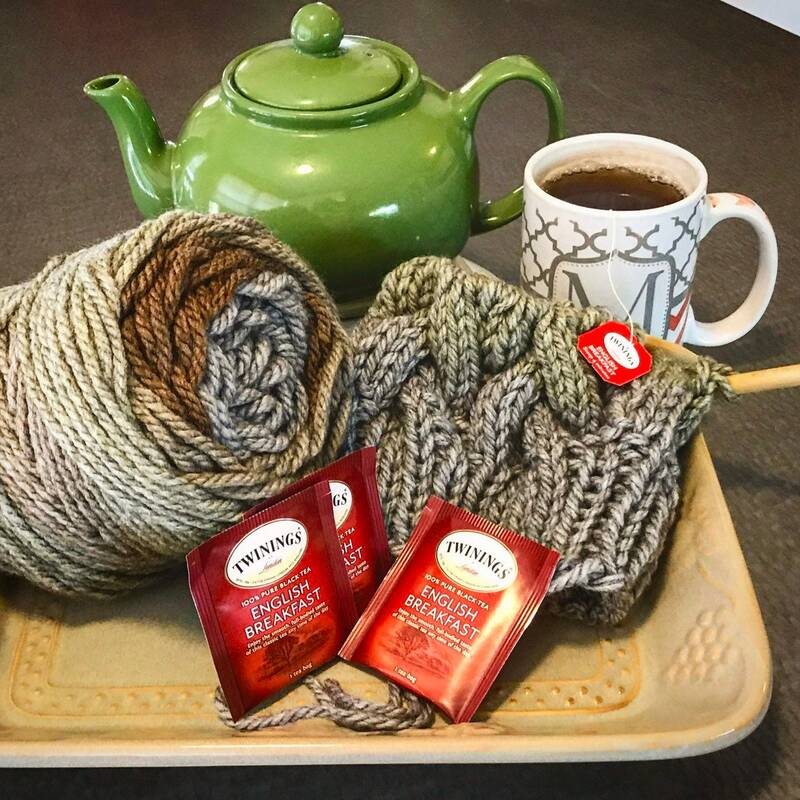 That happens to be one of my favorite teas so I thought why not knit with it😁. This yarn is so so and squishy that your ears will thank you! These hats have a slouchy fit. 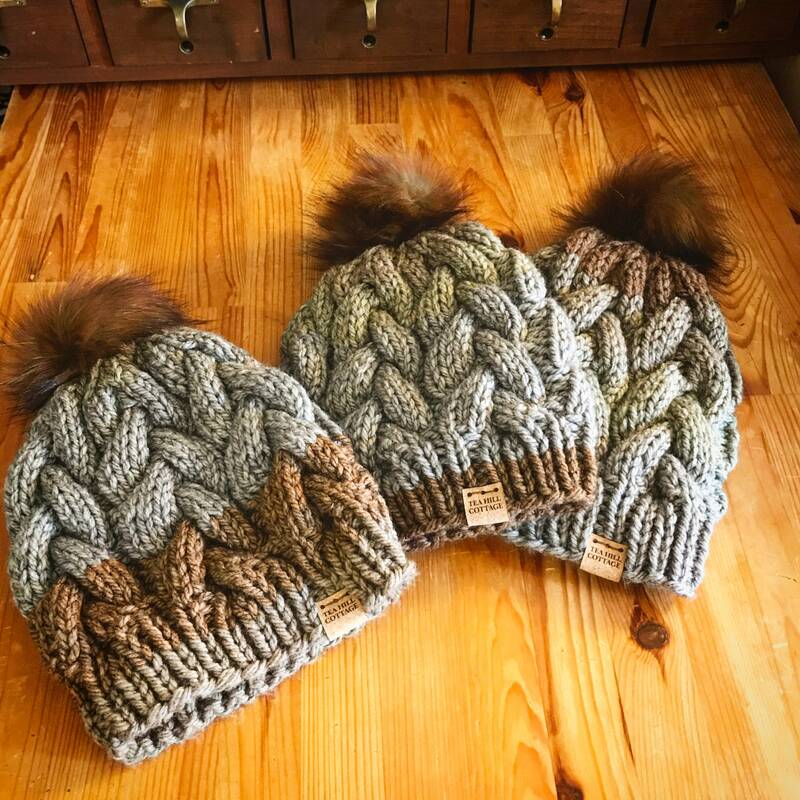 I put gorgeous brown fur pom poms by @kitchenklutter on the hats. The tags are made of cork and are from @allthiswood. Please hand wash, spot clean the hat as the pom poms probably don’t like your washing machine 😉. The hats are made from 80% acrylic and 20% wool yarn. I made these hats in my smoke free, pet friendly home. If you have any questions regarding this item, please hit the “Ask a Question” button next to the price and I will get back to you as soon as possible.